[Compensation Plan Part Four] Snow White and Her 7 Dwarfs… or also known as Rising Star Team Bonus! Ok so you made it to Part Four. 🙂 I’ll ease into today’s compensation plan lesson by telling a story. Grumpy got Joy and Release. He loves diffusing them and applying them over his heart and liver. Happy got Abundance so he could feel happier. Sleepy loves Peppermint and Cedarwood to keep him alert. Bashful often uses Valor for courage. Sneezy, thanks to lavender and purification, sneeze no more! Doc loves frankincense and sandalwood as he’s pretty into the reprogramming of DNA stuff. Congratulations! You have shared about the YL oils to your friends and she has signed up for an account under you. Your first sign up! 1. Login to your account and fill up the Direct Deposit of Commission form at Member Resources. 2. Take a photo of your bank statement too, which shows your name and bank account number and email both to YL Singapore customer service (email can be found in your account homepage). YL takes a few weeks to process the paperwork and once done, you would get the money deposited in your bank account for each month your downlines has purchased from YL. 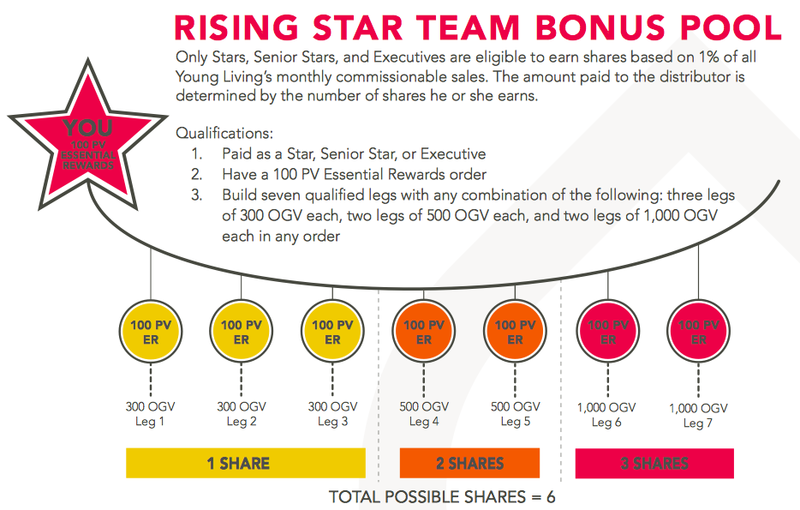 The requirement is that it must be at least 25 PV, otherwise YL will add the money to your YL account as credits. If you did not fill in the paperwork, YL will automatically deposit the money into your YL account as credits too. How can I check my YL account for credits? You can view your commission report on 15th of each month (e.g. you would view March commission on 15th April) under My Account Viewer > My Commissions. Payout is between 18th to 20th of each month. In my earlier article, I mentioned that you would receive a 8% commission payout for life as a Sponsor. There are a few things to know about Sponsor payout. 1. Whenever the Fast Start Bonus of 25% is being paid out to the Enroller, the Sponsor payout of 8% will be reduced by 70%. This means that the Sponsor payout is 2.4% for the first three months. These five levels of payouts are also reduced by 70% when the Fast Start Bonus is being paid. 3. To qualify for these payouts, you need to put through a 100 PV order for the same month. You got your Ningxia Red? Ok let’s go! This is the person who has introduced his or her friend to Young Living and they have signed up for a YL account as a result. Because YL is a MLM business, there are uplines and downlines. Sponsor here simply means upline. When you are starting to share about the oils to your friends, you would naturally be the Enroller and Sponsor should they signed up for an account. Also known as the new member who just signed up for a YL account. Every enrollee or new member would have an enroller and sponsor. If you have signed up for a YL account without entering anyone’s member ID, YL will randomly allocate an enroller and sponsor to you. You can definitely reach out to them to seek support on the oils but I generally find that it is better to have someone who is experienced or at least passionate on the oils to guide you as you go along. In my numerous compensation plan briefings to my members, I’ve come to realised that many folks struggle with understanding the YL compensation plan and therefore feels daunted to receive a wonderful side income from YL or even to build a business out of it. So! Because I love you folks and I really believe that abundance is everywhere, I have decided to write a series of articles on YL compensation plan. My articles are by no means, the only ones – you can definitely find loads on YouTube and other websites too. Think of this as a school within a school. Heh. Read these articles in the order below. When you understand the gist of the contents, move on to the next article. 3. Compensation Plan Part Three – What else do you need to know about being a Sponsor? 4. Compensation Plan Part Four – Snow White and Her 7 Dwarfs… or also known as Rising Star Team Bonus! 5. Compensation Plan Part Five – Legs, teamwork and what’s it gotta do with me?